This article will briefly discuss the benefits of drain field preventive maintenance. 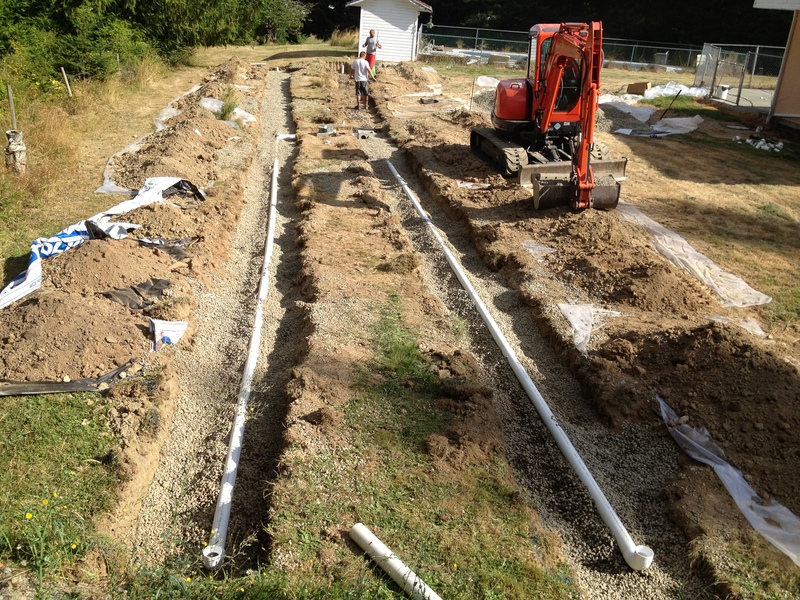 The drain field is the make or break of the septic system. This is the final phase of wastewater treatment in your home. Here, the pre-treated, clear effluent is purified and rid of the contaminants and pathogens before it is released back into the surrounding environment. It makes or breaks the septic system because its condition leads to the smooth functioning or the failure of the entire septic system. The drain field is where the bio-mat and the aerobic bacteria are found. The aerobic bacteria help in the further breakdown of the minute solid particles that are still in the pre-treated effluent. The bio-mat is the filter that eliminates pathogens and contaminants. The aerobic bacteria consume the bio-mat so it is kept at a normal phase. If the drain field becomes too saturated with water, the wastewater will not be able to enter the system anymore. Instead, it will just back up in to the home or onto the yard. The septic system needs to function smoothly every moment of every single day. It has to continuously treat the wastewater that your household produces. It is specifically designed to accommodate the specific number of household members. If you plan to increase the number of people in your home, you have to consider modifying the size of the system. If the septic system’s capacity is not enough, it is prone to failure. Proper scheduling of preventive maintenance should me set with your septic system expert. You could help in the preventive maintenance by properly using the sinks, drain, and toilets. You should never dump paper, grease, napkins, cat litter, non-biodegradable substances, paint, food scrapings, and trash into the system. Color safe oxygen bleach should be used more often and chlorine bleach should be avoided. Laundry loads should be divided within the week instead of once. The pipes and other fixtures should be replaced or fixed. a) Damages that the components may have acquired already. b) Compaction of the drain field caused by the heavy weight of the vehicles or any form of construction. c) Shrubs or trees planted over the drain field. Their roots may already be penetrating the drain field. a) There are activator treatments that should be given to the drain field to bring the bacterial population back to normal. b) The porosity restorers bring the efficiency of the drain field back to normal. c) Maintainers break down the grease and detergents, enhance the bacterial activity, stop the septic smells, and protect the drains as well. The septic expert should be coordinated with if you want a systematic flow of preventive maintenance. You could talk to him about the various products that should be used to fully benefit the drain field and the surrounding environment. It is advisable to make use of biological products that do not leave any harm on your system and the water supply system in your area. It is really a must for homeowners to give their drain field preventive maintenance. By practicing this, you can be sure that the drain field and the entire septic system will be able to serve our household for decades to come.